(1) Computational modelling and simulation in neuroscience and evolutionary biology. (2) Data mining, analysis and visualisation of big data in health, transport, and financial applications. (3) Control optimisation for smart grids and renewable energies. (4) Deep Learning architectures and algorithms for cyber-security. 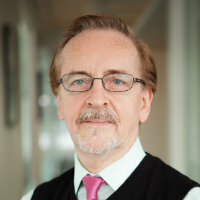 Tillman Weyde is a Senior Lecturer at the Department of Computing. Before that he was a researcher and coordinator of the MUSITECH project at the Research Department of Music and Media Technology at the University of Osnabrück. He holds degrees in Computer Science, Music, and Mathematics and obtained his PhD in Systematic Musicology on the topic of automatic analysis of rhythms based on knowledge and machine learning. He is an associated member of the Institute of Cognitive Science and the Research Department of Music and Media Technology of the University of Osnabrück and has given invited talks among others at the IRCAM, Paris, Technical University of Berlin and the University of Karlsruhe. He is co-author of the educational software "Computer Courses in Music Ear Training" Published by Schott Music, which received the Comenius Medal for Exemplary Educational Media in 2000 and co-editor of the Osnabrück Series on Music and Computation. Tillman was a consultant to the NEUMES project at Harvard University and he is a member of the MPEG Ad-Hoc-Group on Symbolic Music Representation (SMR), working on the integration of SMR into MPEG-4. He was the principal investigator at City in the music e-learning project i-Maestro which was supported by the European Commission. He currently works on Semantic Web representations for music, methods for automatic music analysis, audio-based similarity and recommendation and general applications of audio processing and machine learning in industry and science. I am Professor of Visualization in the Department of Computer Science at City, University of London, where I co-direct the giCentre. My research focuses on designing visual methods and tools for exploring, analysing and presenting information with an emphasis on geographic information. I design, develop and evaluate novel dynamic maps that help generate insights from data and communicate trends in phenomena from a diverse range of domains. As such I have interests in Cartography, Information Visualization, Data Visualization, Design, GIScience and Human Computer Interaction. I have developed software and ideas that explore cartographic design possibilities for geovisualization. This includes software, such as 'cdv' and 'panoraMap', and novel exploratory views, such as geowigs, geo-centric parallel coordinates plots, spatially ordered treemaps, ODmaps, BallotMaps, AttributeSignatures and FAVVEs. 'cdv' - the cartographic data visualizer demonstrates my early ideas and appears in the Milestones in the History of Thematic Cartography, Statistical Graphics and Data Visualization. The main body of my work is reported in 18 papers published in IEEE Transactions in Visualization and Computer Graphics between 2007 and 2016. 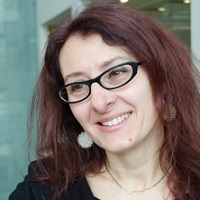 Andrea pursues an interdisciplinary research agenda centred on the modeling of social and biological systems, with particular regard to issues in linguistics, cognitive science and evolutionary dynamics. At a more fundamental level, Andrea's research focuses on complex networks and on the way they affect the dynamical processes taking place upon them. He uses concepts and tools coming from Complex Systems, Network Science and Data Science. Andrea has published 60+ peer-reviewed papers, and has presented his work in 30+ invited talks at International Conferences, Universities and Institutions. Why forecasts differ: Are differences in economic and financial analyst forecasts due to differences in information, differnces in forecast methods, or differences in individual and organisational attributes? Nowcasting with neural networks: This research programme assesses whether advanced neural networks can improve short term forecasts of GDP and industrial production in Germany and other EU countries. Survey data on business and consumer sentiment are important inputs to this exercise. Is pessimism contagious? This project uses firm-level data from the Ifo business survey to identify waves of endogenous “epidemics” of optimism and pessimism in business sentiment, and separate these from exogenous shocks due to macroeconomic news. Lilian's research covers statistical and mathematical modelling for management and decision making, as well as theory testing and development in different areas, e.g. : electricity markets, operations and the management practices-performance nexus. Forecasting Methods & Combinations of Forecasts: Time series models are developed, combined and applied to data from electricity and financial markets. Management Practices and Performance: Potential impacts of different work and organisational practices are examined at employee, workplace and organisational levels. Studies of quality management and the integration of operations and human resource managements are being developed. Energy Markets: The integration of European energy markets and the potential effects of different factors (e.g. renewable generation, regulation and national policies) are being investigated. Flexible Working Arrangements: Different theories on determinants and implications of new modes of working are examined. Models are developed. Empirical studies in different contexts are being conducted. Firat primarily works with micro-data in the field of labour economics. He does both structural and reduced-form estimation. David's research laboratory contains a lively mixture of vision scientists, ophthalmologists, psychologists, mathematicians and computer scientists. This research laboratory focuses on measurement in vision: visual fields, imaging, visual function and quality of life, and medical statistics. One of the main themes of his work in glaucoma is relating the different stages in the disease process to patient's visual disability. Measurement in vision: visual fields, imaging, image processing, visual function and quality of life, and medical statistics. Professor Iori's current research is mostly focused on issues in market microstructure, financial stability and systemic risk. She has been doing theoretical, empirical and numerical work (Agent Based models) in these areas. Her work has an interdisciplinary flavour as she has been using models and methods from statistical physics and financial mathematics to address important economic questions.